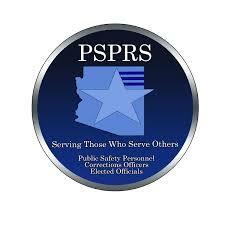 As the Hall and Parker lawsuit cases continue to move forward, Arizona’s Public Safety Retirement System, PSPRS, has been providing updates. The Hall case involves judges, who are part of the Elected Official’s Retirement System, EORP, and their case has been remanded back to Superior Court for settlement. The Parker Case involves peace officers and has similar core arguments, which is why PSPRS has already been making arrangements to refund the extra money deducted from paychecks beginning in 2012. Sworn Phoenix Police Officers should have already seen the elimination of the 4% deduction in their pension contribution, which was effective with their April 28th paycheck and plans are being made to determine how overpayments are going to be dispersed, but like in Hall, this will have to be determined by the court. CLICK HERE for a link to the PSPRS website which explains the process and also contains a link for an update and recommendations on the return of contributions due to the Hall case made by the PSPRS Board of Trustees.